GotPrint started out as a single family-run retail shop, and although our company has expanded, we remain a family-owned company to this day – one that is committed to the thousands of small businesses we work with each year. You could say this topic is near and dear to our hearts! This year, we invited business owners across America to share their best small business marketing tips as part of our GotPrint #ShopSmall Contest*. Small Business Saturday will take place on November 24, 2018, and it’s not too late to plan an effective promotional strategy that encourages customers to support your establishment. We hope our favorite entries, listed below, will inspire you to make this your most successful holiday season yet. 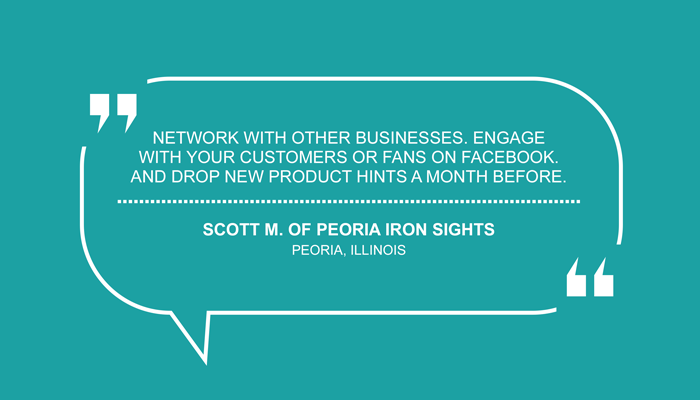 Thank you for entering, Scott – we loved each one of your tips! Most industries have their own conventions and trade shows where you can meet like-minded business owners, attend educational seminars, and explore new opportunities. Don’t forget about the independent businesses in your own neighborhood as well, especially when it comes to Small Business Saturday. You can increase your chance of a strong turnout by coordinating a #ShopSmall celebration with other local retailers and services. As Scott also mentions, don’t underestimate the power of social media. Posting engaging content on Facebook and other social media platforms allows you to get valuable real-time feedback and insight from the public. 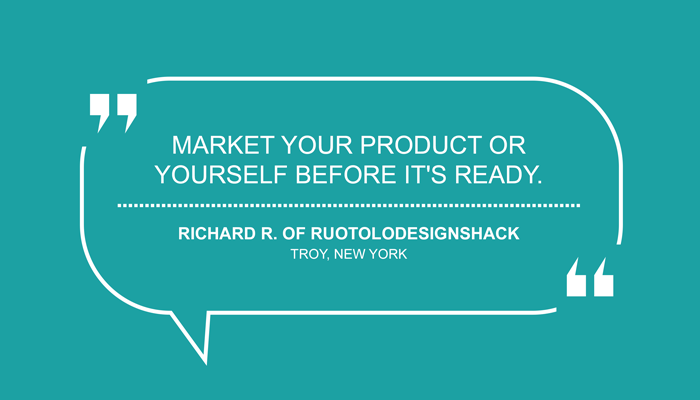 Social media is also a great tool to build anticipation about upcoming product launches, especially when combined with pre-sales or giveaways. Defining your company’s core values and sticking to them is key to creating a welcoming environment for both your employees and your clients. Although it’s important to budget and spend conservatively, putting your customers first will ultimately pay off when it comes to goodwill and loyalty. 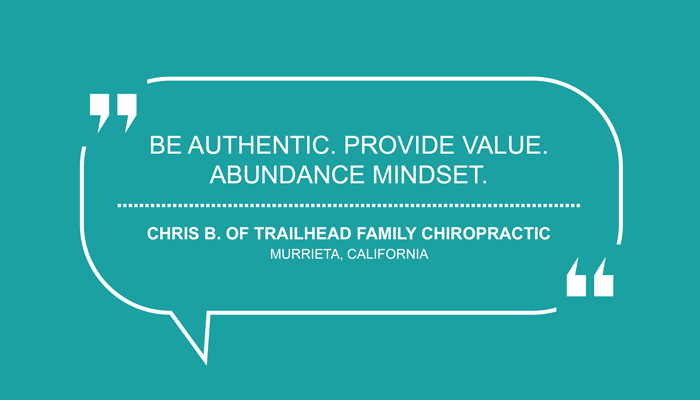 Chris also makes a great point about thinking abundantly. Don’t let a small setback or negative comment hold you back. Operating a small business means you will run into obstacles on a daily basis, but always keep the big picture in mind. Many successful individuals subscribe to the motto “Done is better than perfect.” Don’t get caught up in the idea of having a flawless product or service, or it just might never get released. Rather, start asking your family, friends, and fans early in the development process for their honest feedback and suggestions. Even large companies do this in the form of focus groups or test markets, which helps reduce the risk of releasing a completed product only to find that there is no demand. Engaging with your followers is a time-consuming endeavor, so it’s understandable that many busy entrepreneurs overlook or neglect that aspect of social media. Nowadays, however, connecting with followers via social media is as much a part of customer service as emails and toll-free phone lines. 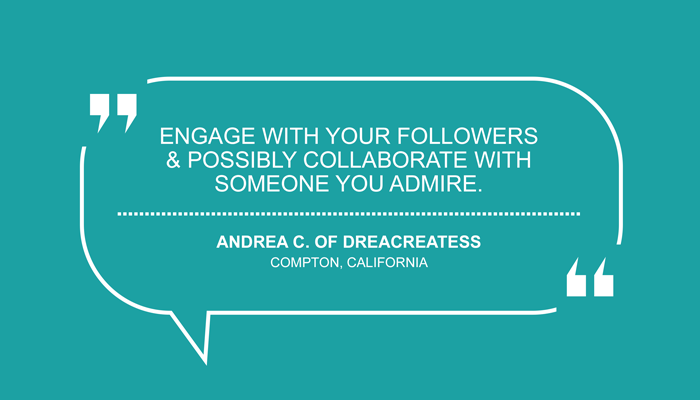 We also agree with Andrea’s suggestion to collaborate with someone you admire. Thoughtful collaborations with leaders and influencers that embody your brand can give your business a significant boost by creating buzz and providing fresh, interesting content. Thanks for the shout-out, Chris! Your contest entry hit upon one of the most successful marketing tactics of all time – giving out customized freebies to introduce potential new customers to your brand. Premium postcards are ideal for this purpose – they are affordable, lightweight, and as Chris demonstrates, extremely versatile! We know Kate’s advice is classic, but it’s not always easy to keep in mind. When running your business feels overwhelming, find small ways to turn your most unpleasant days around. This may mean asking your closest friends to help out during a busy season, redecorating your office or retail space, or treating your employees to dinner at your favorite restaurant. 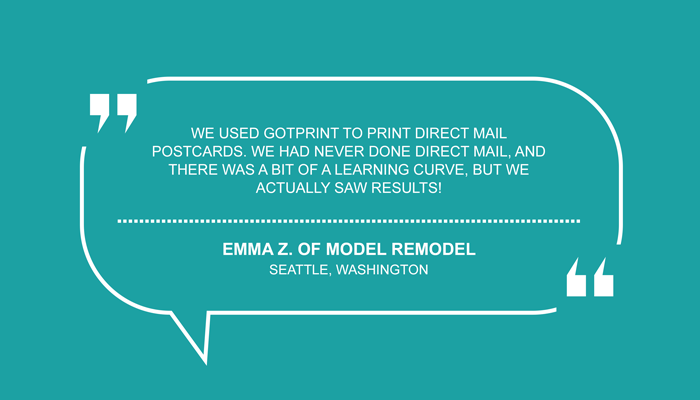 We’re so glad you took the leap into direct mail! Our full-service Every Door Direct Mail® (EDDM®) and Direct Marketing packages allow businesses to advertise affordably and efficiently. With EDDM®, you don’t need to purchase a mailing list; rather, our easy-to-use map tool allows you to select target neighborhoods by average income or household size. Our experienced team handles everything from design (including making sure the layout meets USPS® size and labeling requirements) to bundling and sending the postcards to the correct post offices for distribution. We also offer standard direct mailing options that include marketing consultations, mailing lists, and design services. Both are great options for getting the word out about your #ShopSmall event or promotion to local residents! *The GotPrint #ShopSmall Contest submission period began on September 25, 2018 and ended on October 1, 2018. Each winner received a $25 GotPrint.com gift code. Entries have been edited for length and clarity. For a chance to enter future competitions, please follow GotPrint on Facebook, Instagram, and Twitter. 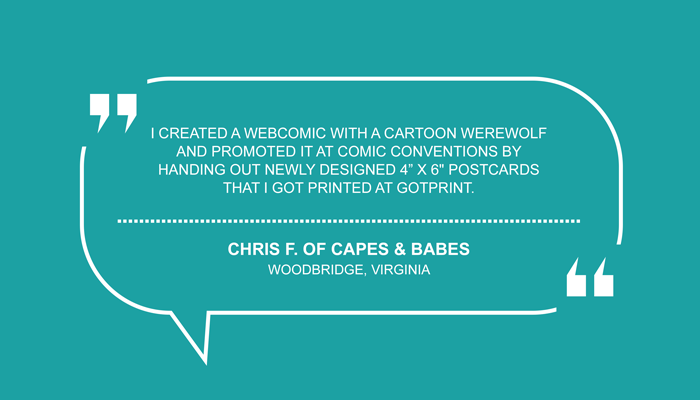 Customer Spotlight: Christin Creative Co.